Struck in 2008 by a surplus US Denver Mint Grabener coin press, on a standard US Mint copper-nickel clad quarter-dollar blank that was found inside it. Struck using US Mint reeded-edge quarter-dollar collar. Only 213 of this type produced. 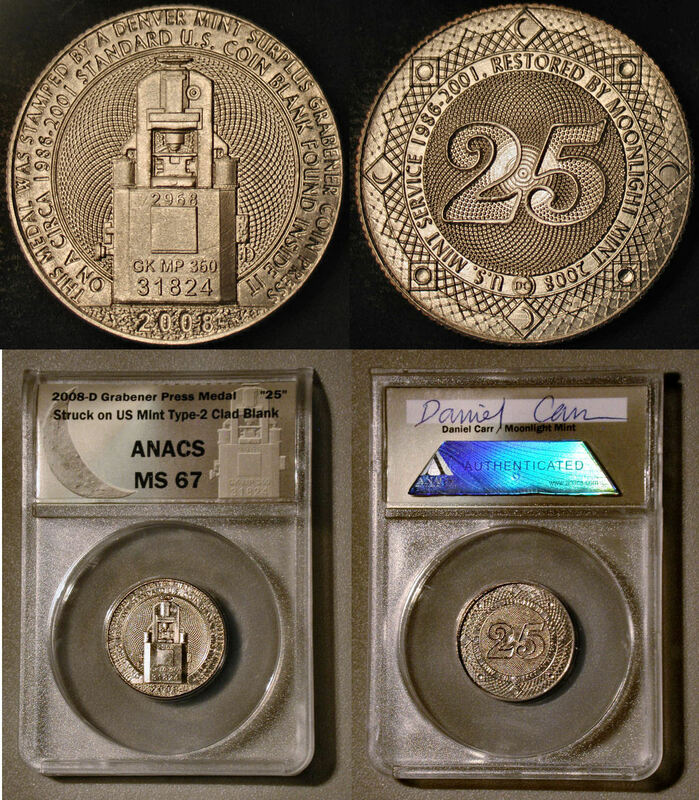 All are certified ANACS MS 67, with a special hand-signed Moonlight Mint labels. In reality, most exceed the technical MS 67 grade level.